One Soldier's Progress Against Traumatic Brain Injury : The Two-Way Sgt. Victor Medina couldn't think straight or speak clearly after suffering a concussion in a 2009 roadside blast in Iraq. Now, after being treated at a new state-of-the-art center for brain-injured soldiers, "it's like night and day," his wife says. Sgt. 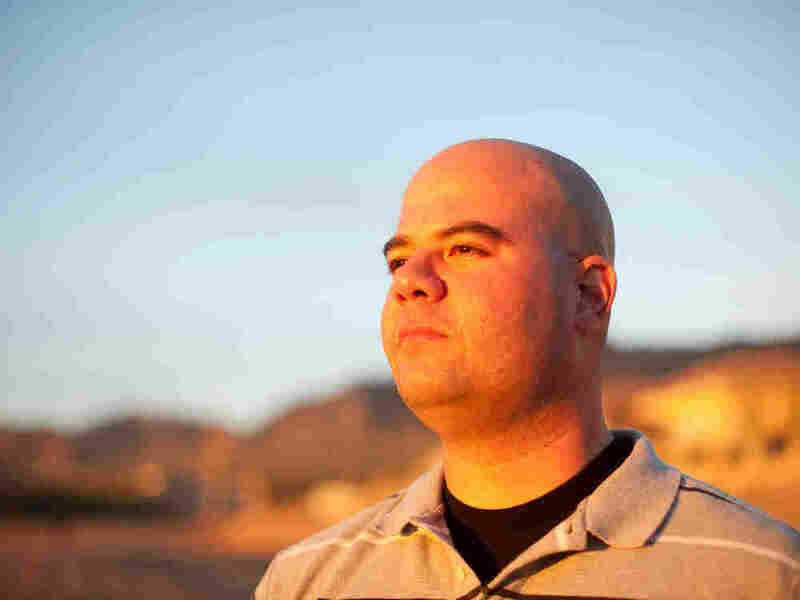 Victor Medina suffered brain damage in 2009 when a roadside bomb exploded in Iraq. One of the guests in the congressional gallery at last week's State of the Union address was Roxana Delgado, an advocate for soldiers returning home with traumatic brain injuries. Her husband, an army sergeant who NPR profiled in June, 2010, had been dramatically affected by the concussion he received from a roadside blast in Iraq. The story, reported and produced with ProPublica, detailed Victor Medina's inability to read, speak and think. Prior to his injury, he was in charge of 45 to 60 other soldiers in Iraq. But as a result of the reports by NPR and ProPublica, a member of congress investigated treatment of soldiers at Fort Bliss and last spring, Medina became one of the first patients at the National Intrepid Center of Excellence (NICOE), the military's $65 million, state-of-the-art treatment center for brain-injured soldiers. During his three weeks at the Bethesda, Md., center, he received more than 100 hours of personalized treatment from neurologists, psychologists, physical therapists and others at the center, a NICOE spokesman says. He also had access to some of the center's virtual reality equipment, which is used to simulate ordinary civilian activities like crossing the street and driving a car. His recovery has progressed rapidly ever since, both he and his wife, say. Medina has continued to work remotely from El Paso, Texas, by videoconference with a speech therapist based at the center. He says his stutter is improving. After his injury, he had struggled to read more than a paragraph; now he says he can read and absorb two pages in one sitting. Medina also was ordered to stop driving, but now says he's regained his ability to do that, too. "It's like night and day," Delgado says of her husband's improvement. Since the original report, Delgado and Medina have become advocates for TBI victims. Last week, Delgado attended President Obama's State of the Union speech as a guest of Rep. Silvestre Reyes, D-Texas. In an interview with NPR and ProPublica prior to the speech, Delgado said the invitation was "very empowering because it tells me that leadership and people in Congress are paying attention to traumatic brain injuries." Continue reading more of this report on ProPublica's website. This story was reported by Joaquin Sapien of ProPublica and Daniel Zwerdling of NPR. More stories about traumatic brain injury can be found at our Brain Wars special report. And at ProPublica.org.